American No. 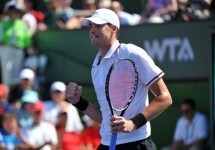 1 John Isner (Player Bio) and 35 year-old German star Tommy Haas (Player Bio) are the latest confirmed players in the Heineken Open (Auckland) in January. The Auckland tournament is one of the early tour stops prior to the Australian Open. 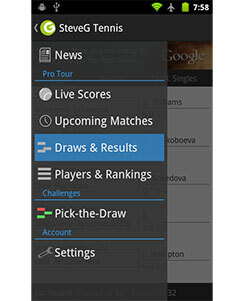 The two top 15 players join David Ferrer, Gael Monfils and Kevin Anderson in the 2014 draw, making it arguably the strongest draw in the tournaments history. Tommy Haas, who defeated then-World No. 1 Novak Djokovic in straight sets at the Miami Masters event earlier in the year, played Gael Monfils at the Heineken Open this year. While he eventually lost the match, it was noted as one of the greatest matches in the tournaments history. The German, who is currently ranked at No. 12, will be looking for a strong start to his 2014 season and to improve on his tournament record in Auckland. The German will be joined by John Isner, who is merely one place behind Haas in the ATP rankings and is a previous champion at the event. The American won the event in 2010, when he defeated Juan Monaco, Tommy Robredo and Arnaud Clement to win the title. He has not taken part in the event since 2011.